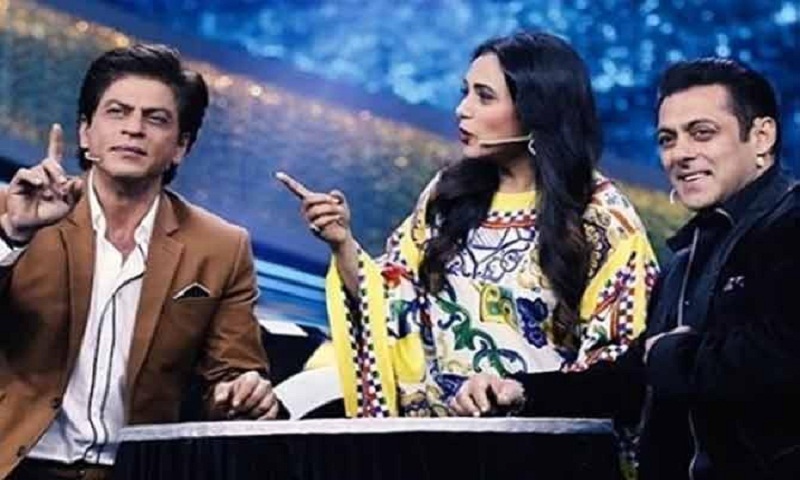 Shah Rukh Khan and Rani Mukerji visited the sets of Salman Khan’s television quiz show, Dus Ka Dum. While the trio makes for an interesting troupe, the conversations going out there were quite hilarious. During their interaction, Shah Rukh Khan revealed how his son AbRam is so much like Salman Khan. In a video shared by Sony Television’s official Instagram handle, Badshah was seen making this light-hearted comment. He said that his little one expresses his love for parents quite often but also doesn’t shy away from saying “I Love You” too any girl he meets. The Raees actor made the comparison in the context of Salman Khan’s popularity amongst females. While the Sultan actor kept blushing on hearing this.